Whether the height of summer, on an Autumn winter walk or in the depths of winter, the UK is blessed with some beautiful scenery, perfect for budding photographers. Whether you’re a complete novice, a professional or someone who just loves to collect beautiful photographs, the scenery of the UK does not disappoint with many hot spots to choose from. You could even book a photography holiday and rent a cottage as your base as you explore the beautiful countryside. Below are seven top UK photography locations worth visiting. Loweswater is one of the smaller, quieter lakes of the Lake District, situated at the edge of the mountains. This location makes it wonderful for classic and typical shots of dramatic hillsides alongside cool, blue waters. There is also a small beach in the area as well as a wooded area and altogether you can create classic panoramic shots which capture the woods, water and mountainside. Up in the Scottish Highlands, Glencoe and Rannoch Moor are a perfect location for capturing winter at its finest. 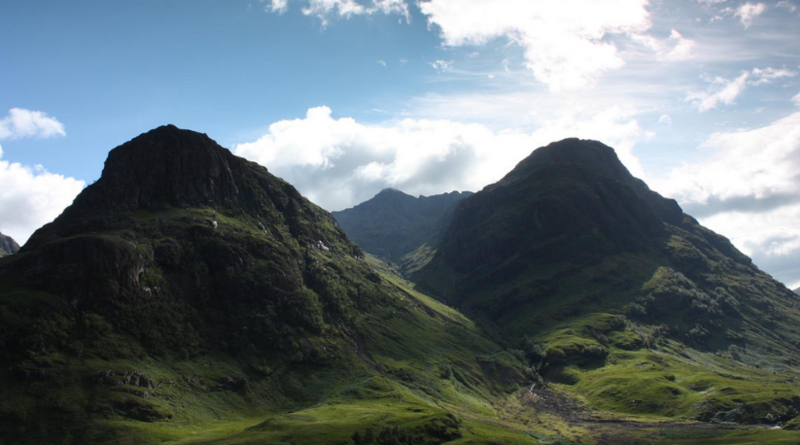 The glacial valley of Glencoe is completely surrounded by mountains and stretches out to Rannoch Moor. It’s the kind of area you want to visit for more than just a passing visit as the snow-capped mountain peaks, lochs and quaint cottages all demand to be admired and snapped. Right next to the popular small town of Ambleside, Loughrigg is an average-sized fell which offers outstanding views of the local area. In every direction, you can capture something entirely unique and beautiful. To the north from the fell terrace, you are looking right over Grasmere and to the south Windermere is below you, as well as Loughrigg Tarn. To the west, there are the peaks and troughs of the Langdales. Home to our own Keldergat apartment, Whitby is an atmospheric and haunting location for some fantastic photographs. Whether you’re hoping to get shots which rival Bram Stoker’s storytelling in their atmospheric nature or simply want to capture the beauty of the local area you won’t be disappointed. The Gothic abbey, eerie churches and winding streets of Whitby all make great subjects for a photograph or two. The views from the East Cliff are some of the best of the whole of the town. 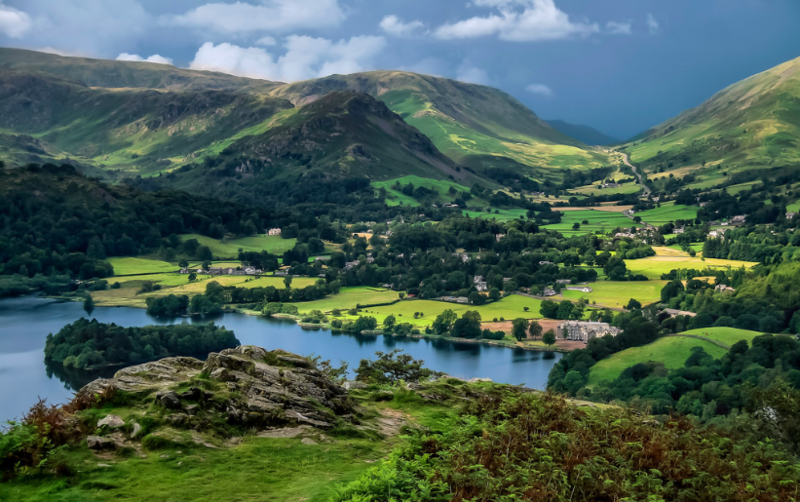 Picturesque cottages, traditional tea shops and an abundance of luscious greenery combine to create the picture-perfect haven that is Grasmere. 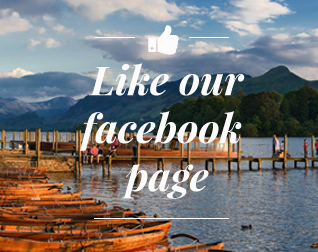 Whether you focus on the architecture of the beautiful natural world, Grasmere offers up so many opportunities for beautiful photography and wonderful walks around the local area. Heading out on the lake also gives you a chance to capture the unexpected colour offered by the brightly painted rowboats. A famous Cliffside location in East Sussex, Beachy Head is a perfect example of the British seaside. Blue, green, red and white contrast beautifully and create many an opportunity for fantastic beachside landscape shots. Bright sunny days are perfect for capturing the contrast of colours although it can also look particularly atmospheric and bleak in the autumn and winter month. Capture the lighthouse out to sea shrouded in mysterious clouds for a truly breath-taking shot. Up in Northumberland, there are a number of photogenic waterfalls but Roughting Linn is one of the best. Like its own private hidden world, the waterfall is tucked away and it seems to attract only a few visitors. This makes it perfect for catching natural shots of the tumbling water without human involvement. The area is also home to some spectacular examples of natural rock art and as you’d expect with a waterfall, visiting in or just after it has rained creates some of the best effects.